Winter blues have you down? Winter is a great time to let your creativity flow while staying warm inside. Hendricks County is teeming with opportunities to take arts and crafts classes if you know where to look. So, today I’m going to help you by highlighting three locations and their upcoming classes. This is by no means intended to be a comprehensive list as Frazee Gardens and a few other locations offer classes as well, but this should help get you started. Finer Things – This Brownsburg shop is known for carrying the work of local and regional artists. But you can also take classes at Finer Things. 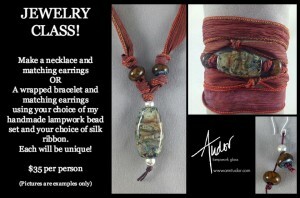 The next class they will offer is a Jewelry Class with Ann Tudor. Participants will learn how to make a piece of jewelry featuring Ann’s glass beads at 6 p.m., Jan. 30, or if that date doesn&apos;t work for you, again at 1 p.m., Feb. 8. The cost is $35 and includes all materials. Finer Things is located at 1032 E. Main St., Brownsburg. You can keep up to date on all of their classes, discounts and other news by following Finer Things on Facebook. Gallery on the Square – This gallery on the historic Hendricks County Courthouse Square in Danville offers a fun way to paint your own masterpiece by offering Paint and Sip classes. Enjoy your favorite beverage while a local artist guides the group through step-by-step instructions to re-create a painting. Classes are $35 and fill up fast, so be sure to make a reservation. Their next class, “Sailing Away,” will be from 6:30-9:30 p.m., Jan. 23, and is designed for both couples and singles. 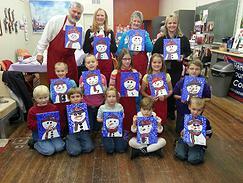 Followed by “Snow on the Farm” from 1:30-4:30 p.m., Jan. 25. Their Paint and Sip classes only scratch the surface of the various classes artists offer at Gallery on the Square, located at 51 S. Washington St. For more information or to learn about other classes, visit their website. 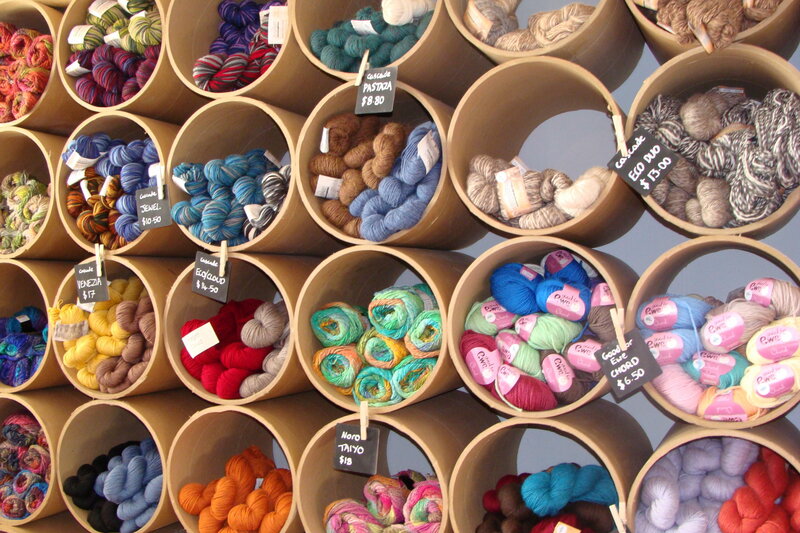 Nomad Yarns – Learn to knit or expand your knitting skills at this Plainfield yarn shop, which offers numerous classes for all skill levels. If you are a beginner, you will want to sign up for the Beginning Knitting class from 6-8 p.m. this Saturday, Jan. 18. For $25, you will learn the basics to get started on a yarn hat. Beginners may also be interested in the Tunisian Crochet class from 6-8 p.m., Jan. 22 for $20. Participants will learn this combination of knit and crochet. If you are experienced at Crochet, then take a look at the Beyond Beginning Crochet from 11 a.m.-1 p.m., Jan. 25. This class is $20. Another option is the Stitch and Sip Mini Classes held from noon-1 p.m. every Tuesday and are $10 a person. Registration isn&apos;t required and these classes include a pattern for the technique that will be covered that day and a hot beverage bar. For a list of each week’s topic, visit Nomad Yarns&apos; website. Private lessons are also available for $15 an hour. Nomad Yarns is located at 218 E. Main St. in Plainfield. Happy Crafting!